As a third generation flooring installer, I started my own business in 1992. Like my grandfather and father before me, I believe that quality craftsmanship and customer satisfaction are two of the most important parts of being a local small business owner. Jim’s Floor Covering, LLC prides itself in building long-term relationships with our customers/friends. Traveling throughout Massachusetts, Connecticut and Rhode Island, we will tackle any job, no matter how big or small. 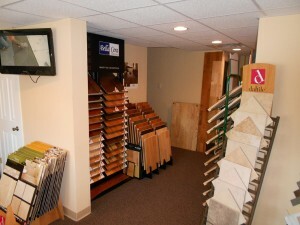 Whether it’s wood, carpeting or tile, we will provide the flooring that’s right for your home or business.